Are you looking for a room or building to host a party, banquet, reception, or other social events? Find a function center to hire through Nbtrade.com.au Function Centre directory. Function centers are ideal for planning a birthday party, hens night, bucks night, wedding, conference, cocktail party or work functions. Function Centres range in price, venue size and location so when choosing a venue for your next function you need to make sure you are getting exactly what you are looking for. Let Nbtrade.com.au Function Centre Directory help you! Specailising on the Gold Coast and Northern Rivers we also provide listings right across Australia so you can find the best and most local venue for your needs. With trusted and reliable listings you are provided with all contact details, general information and more. 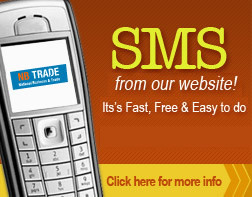 Email or SMS straight from our Function Centre Directory. Don't be bombarded with misleading advertising, confusing claims and simply bad information. Nbtrade.com.au provides all the information you need. Search Function Centres Tweed Heads or Function Centres Murwillumbah, Greenhills for Northern Rivers listings, and you can further search listings Nationwide for the best and most local function centre to accommodate your needs.